In the fourth and final book of the Dragonslayer series, Mandulane's army is poised to attack the Northlands in the name of a powerful god, but in truth Mandulane is using the act of spreading this new faith as a way to disguise his own personal greed and hunger for power. Astrid has succeeded in warning her beloved country of imminent danger, and the Northlanders scramble to set up a clever defense, never realizing a spy in their midst is poised to take critical information directly to Mandulane. 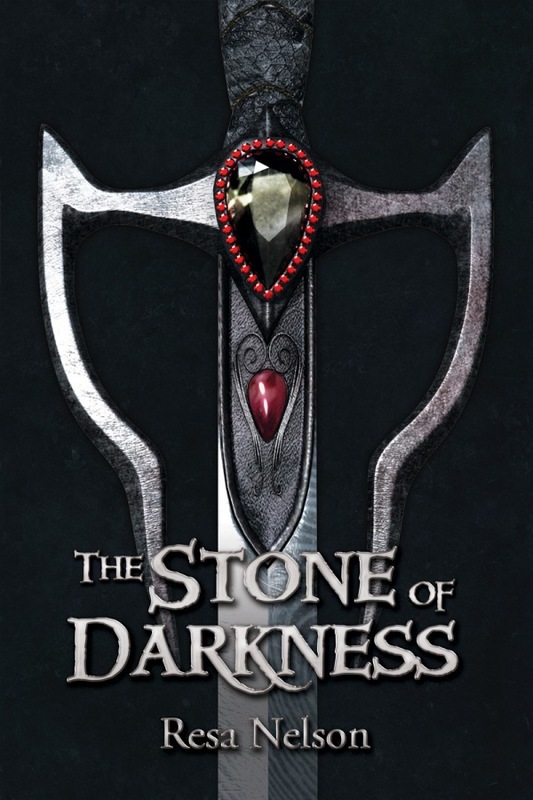 After sacrificing herself in order to set her brother Drageen free for the sake of protecting the Northlands, Astrid finds herself controlled by the stone of light. Although it forces her path of destiny, Astrid learns she must make one final choice about who she wants to be. Most important of all, her new sweetheart Trep encounters a dragon that entrusts him with the care of a dragon's egg. Trep embraces a dangerous journey and accepts the duty of protecting the unhatched dragon, knowing that its safety could impact the fate of the entire world. The Dragon's Egg is the impressive and bittersweet ending to Astrid's journey. It will bring tears to your eyes and leave hope blooming. Resa Nelson concludes The Dragonslayer Series in a show of action and adventure that lives up to her usual style of story telling. I'm still wrapping my brain around the fact that this is the end of the series. I've become so attached to Astrid and the anxious wait to dive into her next adventure. I feel a little bereft knowing that The Dragon's Egg is her final journey. This journey is filled with familiar faces, danger, and surprise. The plot doesn't lag or feel like it's being stretched to keep interest. Just knowing that whatever awaits Astrid at the end of the novel is something extremely life changing and unpredictable was enough to keep my interest and keep me rushing to finish the story. What sets this fourth book of the Dragonslayer Series apart from its previous novels is the perspectives. Readers will be able to view the story from multiple points of view. The bigger picture of Nelson's fantasy world is easier to recognize and the relationship between the dragons and the Scaldings is greatly clarified. The series has truly evolved from the first installment in which readers are introduced to Astrid and her struggle to find peace with her past and with who she truly is. Nelson began widening our attention beyond Astrid and her home in Guell: taking us on journeys to the Northernlands, introducing the dire situation with the Krystr army, and inviting us to where it all began, Tower Island. The Dragon's Egg sees the subtle shift in focus to the present state and future of Astrid's world. Nelson ties up loose ends and satisfies any lingering questions we may have had regarding Astrid's family history or what the dragon's are up to in the human realm. 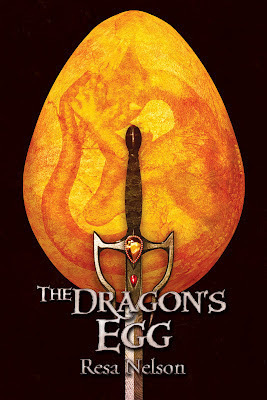 The Dragon's Egg is a conclusion that I was torn over. I didn't want this to be the last of the Dragonslayer's series, but now that it's here and I've read it, I'm happy it's the finale! What was your greatest challenge in writing The Dragonslayer Series? That's a great question. The greatest challenge was making each book its own unique story (instead of just rehashing the first book over and over again) while at the same time keeping the story moving forward in a way that made sense. When I wrote Book 1 (The Dragonslayer's Sword), I thought it would be just one book. But when I was about 75% through the book, I realized I was nowhere close to the end I envisioned and that it should be a series. Once I made that decision, I wanted each book to have its own vision but one that would fit in with the big picture. While Astrid is the central character we meet a lot of other important characters over the course of the series. Who was your favorite to create, and why? I really love Margreet from Book 2 (The Iron Maiden). One thing that was important to me was to create a character from another country who didn't speak Astrid's language. Astrid has a terrible time learning other languages and never really learns more than a few words -- she just doesn't have the knack for it. I wanted Astrid and Margreet to never be able to use language to communicate but to have to figure out different ways to communicate with each other. In the beginning, they're at odds with each other, and there are times when I think Margreet is hilarious. The journey that Astrid and Margreet take in Book 2 is one of the most rewarding things I've ever written. The Dragon's Egg is the last book of Astrid's journey. How did you prepare to write this conclusion? Did you plan for this to be the final book of The Dragonslayer Series? Yes! I had a clear vision for how I wanted the series to end as soon as I decided to expand Book 1 into a series. So when I wrote every book, I always kept the conclusion in my thoughts. Ironically, there are many things in The Dragon's Egg that surprised me, things I didn't know were going to happen until they happened. And there were also a few new characters that I didn't know were going to be in the book until they showed up. For example, Trep mentions his sister at the end of Book 2, and I had no idea she would be such an important character in The Dragon's Egg until she showed up. One of my favorite things about writing novels is the way that characters will surprise me like that. In three words, how would you describe The Dragon's Egg? In parting, can you give us a couple of lines from The Dragon's Egg that stand out to you the most? "Astrid dreamed she shifted her shape and became a dragon. On four bent legs, she lumbered while she walked through a dense forest, dragging the top of each foot across the ground and then flipping it up just in time to place her weight on it." Resa Nelson has been selling fiction professionally since 1988. 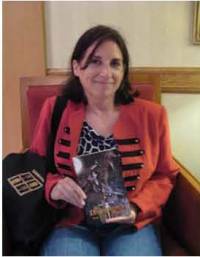 She is a longtime member of SFWA (Science Fiction and Fantasy Writers of America) and is a graduate of the Clarion SF Workshop. Resa was also the TV/Movie Columnist for Realms of Fantasy magazine for 13 years and was a contributor to SCI FI magazine. She has sold over 200 articles to magazines in the United States and the United Kingdom. Her first novel, The Dragonslayer's Sword, was nominated for the Nebula Award and was also a Finalist for the EPPIE Award. This medieval fantasy novel is based on a short story first published in the premiere issue of Science Fiction Age magazine and ranked 2nd in that magazine's first Readers Top Ten Poll. The Dragonslayer's Sword is Book 1 in her 4-book Dragonslayer series. 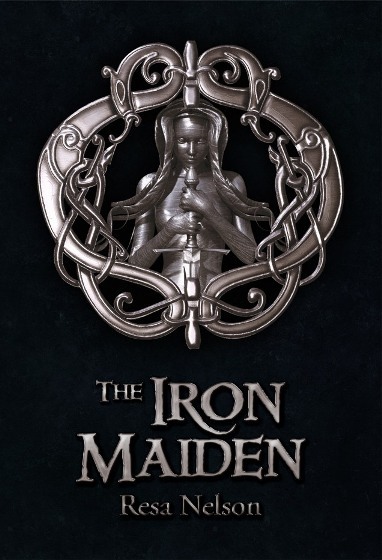 Book 2, The Iron Maiden, was published last December, Book 3 was published in May, and the final book in the series is scheduled for publication in November. Resa's standalone novel, Our Lady of the Absolute, is a fantasy/mystery/thriller about a modern-day society based on ancient Egypt. Midwest Book Review gave this book a 5-star review, calling it "a riveting fantasy, very highly recommended." Resa lives in Massachusetts.